Fan luv !!!!!!!! the Drake @champagnepapi vocals is in!!!!! #Major🔑 the album is coming!!! 🙏🏽🔑👑 new music soon come ! Recently on Snapchat, DJ Khaled has been getting fans to ask "Did the Drake vocals come in?" and now the answer is in. 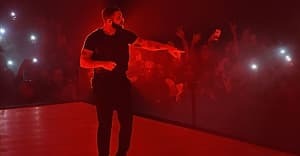 Khaled confirmed that he has been sent vocals from Drake for his new album in a video shared on Instagram over the weekend, May 28. The follow up to "No New Friends" and "I'm On One" will appear on Khaled's Major Key album, the cover of which will seemingly feature a real life lion. There is no release date for Major Key but Khaled has already hinted that his latest guest-packed album will feature Chance The Rapper, Mariah Carey, and a track uniting Jay Z with Future.